CARFAX 1-Owner, LOW MILES - 37,550! Reserve trim. FUEL EFFICIENT 26 MPG Hwy/19 MPG City! 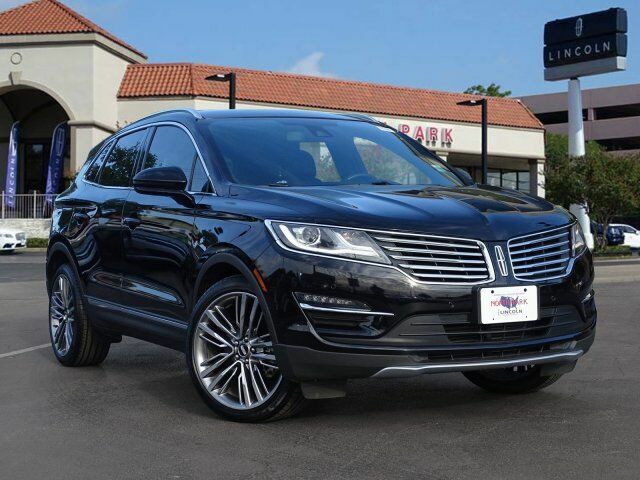 Navigation, Moonroof, Heated Leather Seats, Power Liftgate, Panoramic Roof, All Wheel Drive, Turbo Charged, LINCOLN MKC TECHNOLOGY PACKAGE, WHEELS: 20 POLISHED ALUM W/DARK STAI... READ MORE! Leather Seats, Navigation, Sunroof, Panoramic Roof, All Wheel Drive, Power Liftgate, Heated Driver Seat, Cooled Driver Seat, Back-Up Camera, iPod/MP3 Input, Onboard Communications System, Remote Engine Start, Dual Zone A/C, Cross-Traffic Alert, Blind Spot Monitor Rear Spoiler, MP3 Player, Privacy Glass, Keyless Entry, Remote Trunk Release. LINCOLN MKC TECHNOLOGY PACKAGE Adaptive Cruise Control & Collision Warning, brake support, Active Park Assist, Forward Sensing System, Lane Keeping System, WHEELS: 20 POLISHED ALUM W/DARK STAINLESS POCKETS Painted, Tires: P255/40R20, ENGINE: 2.3L ECOBOOST, THX II BRANDED AUDIO SOUND SYSTEM 14 speakers, HD Radio, LINCOLN MKC CLIMATE PACKAGE Heated Steering Wheel, Heated Rear-Seats, Rain-Sensing Wipers, Windshield Wiper De-Icer, Auto High Beams. Lincoln Reserve with Black Velvet exterior and Ebony interior features a 4 Cylinder Engine with 285 HP at 5500 RPM*. Edmunds.com explains On long highway journeys, the MKC feels smooth and relaxed. And thanks in part to a standard active noise-cancellation system, it`s also very quiet.. Great Gas Mileage: 26 MPG Hwy.